Monthly distribution of mobile vouchers to staff as per Country Representative authorization. Preparation of the annual Government Tax Declaration Upon request, provision of support to the Financial Manager on providing information and delivery of documents to public offices and public authorities such as TRA, Immigration Office, Registrar Office and other Tanzanian Institutions as well as Embassies. · Please do not send certificates and diplomas through e-mail: they will be requested only from pre-selected candidates. · Closing date for Applications is Sunday, November 11th, 2018. Only shortlisted candidates will be contacted. 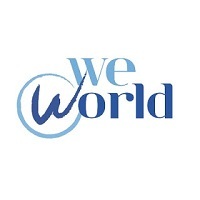 WeWorld Intervita will close the selection as soon as the selected candidate is chosen. · Please, send us your application only if you met the mandatory qualifications and experiences mentioned above.